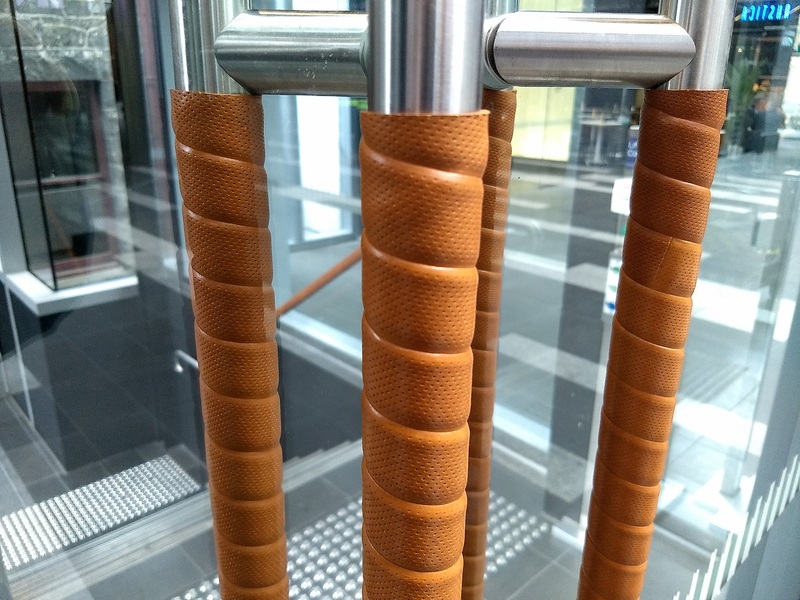 Crafting fine leather wrap for leather handrails, balustrades, posts, leather door pull handles and architectural applications. 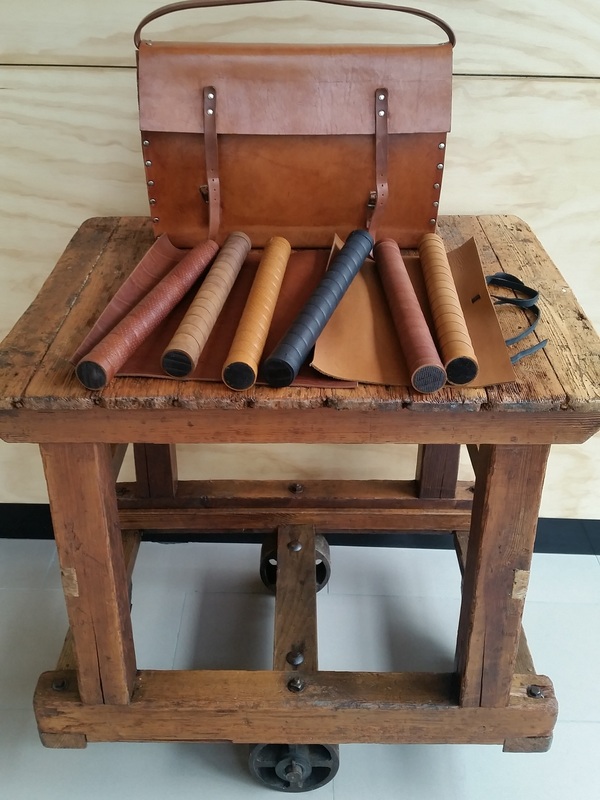 Leather, with its warm texture and tactile touch, will age gracefully as it wears in and develops a patina over time. 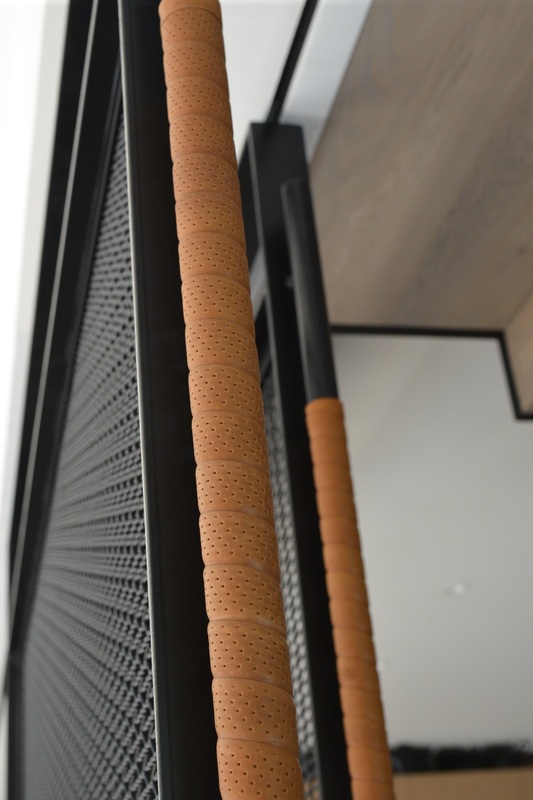 Architects and interior designers, talk to us about customising for your project. 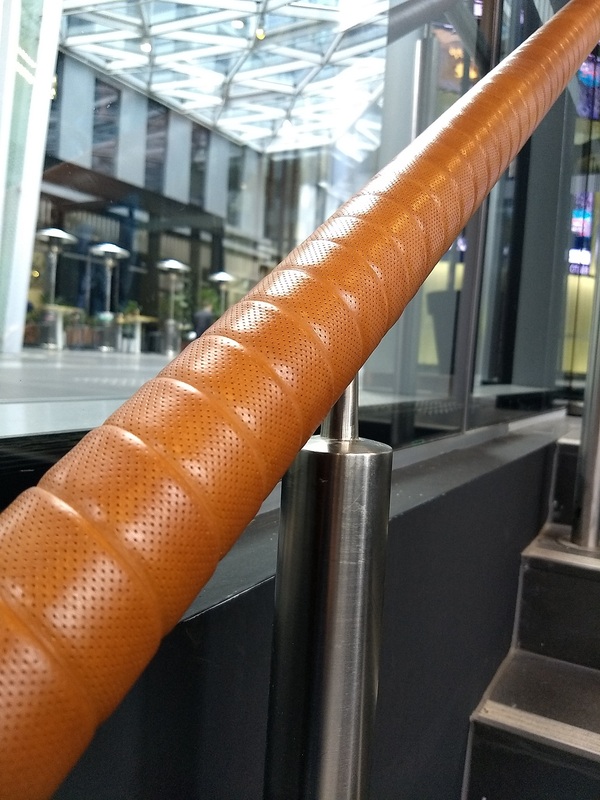 Our leather wraps can be applied to metal, timber and plastics, whether the profile is round, square or curved we have a solution. 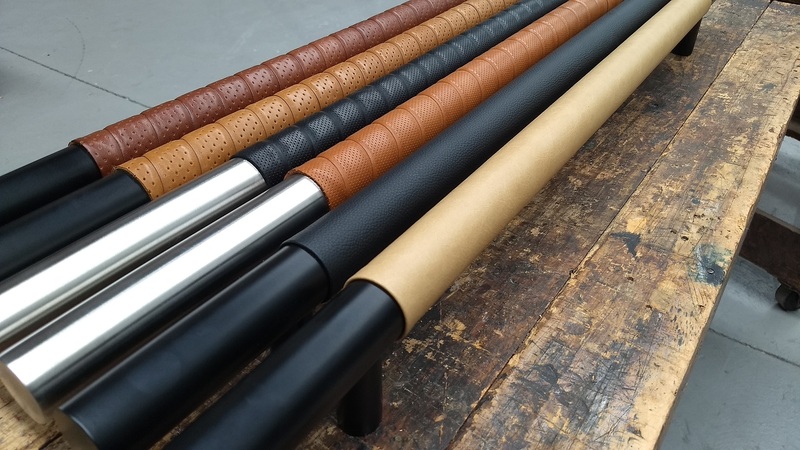 We craft our wraps to showcase leather in all it’s natural beauty, they are luxurious and add warmth to their surroundings. 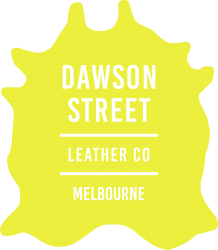 Leather crafting takes place at our Coburg North facility in Melbourne’s inner north, our capabilities allow us to customise and create freely. 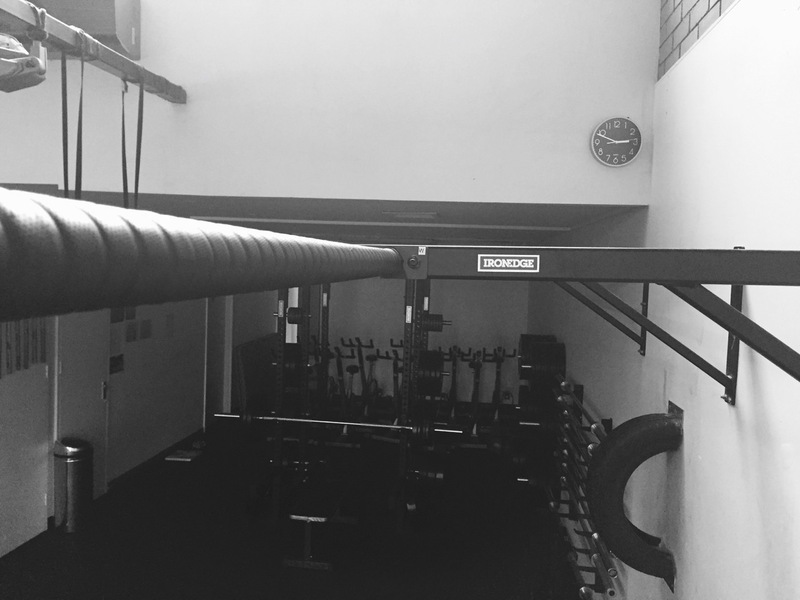 A family run company founded in 1967 just a few kilometers away in Preston, we recently celebrated 50 years of continuous operation. 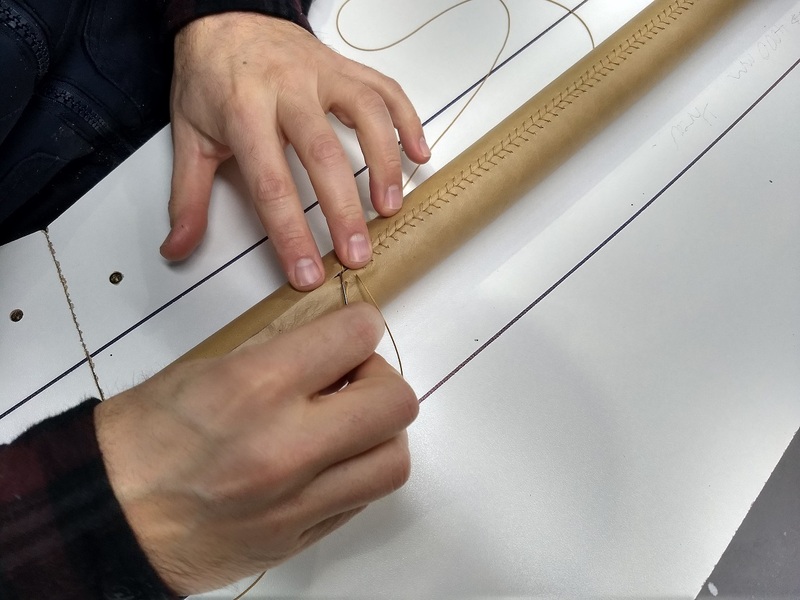 With our extensive experience in leather crafting we have the skills to create your vision. 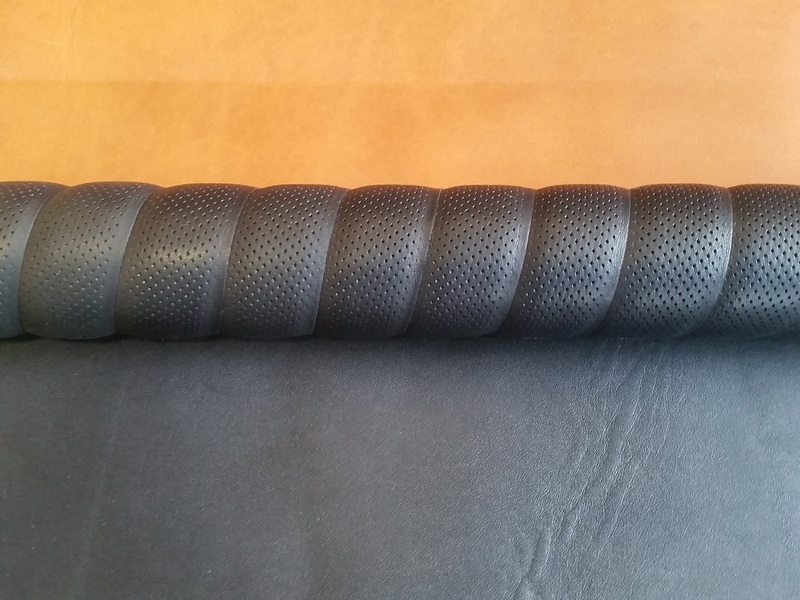 Contact us to add class and distinction to your project that only genuine leather can. 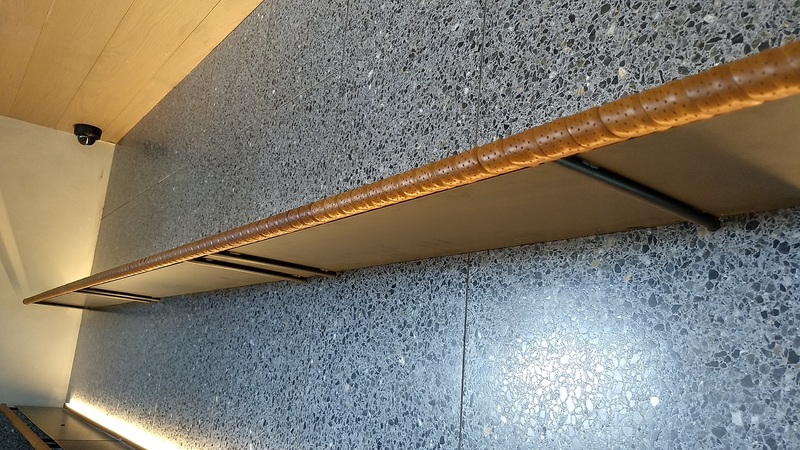 Applications include Metal handrails, timber handrails, metal and timber balustrades, metal and timber posts, furniture legs and arms, Chairs, Gymnasium equipment, sports applications. 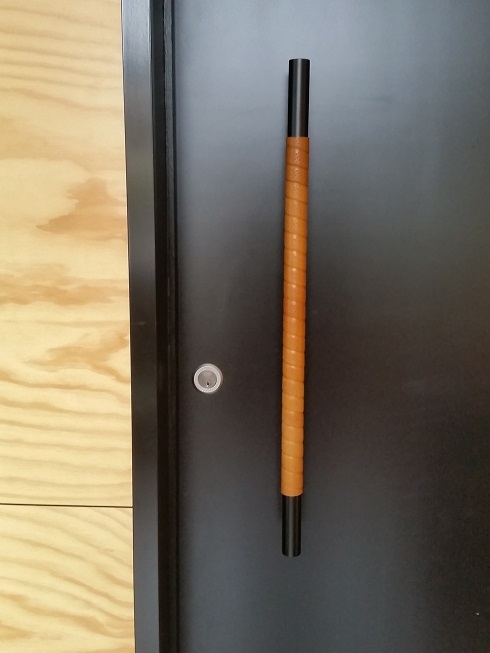 See our range of Genuine Leather Door Pull Handles. 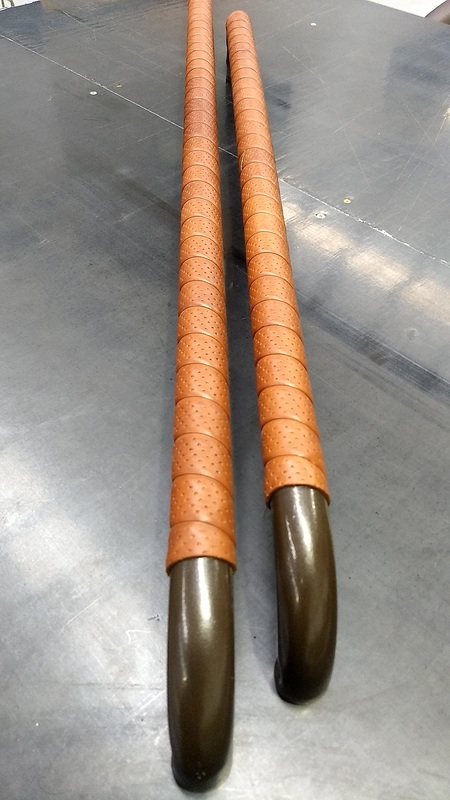 Available in a range of handle colours, lengths and leather finishes, both wrapped and hand stitched. 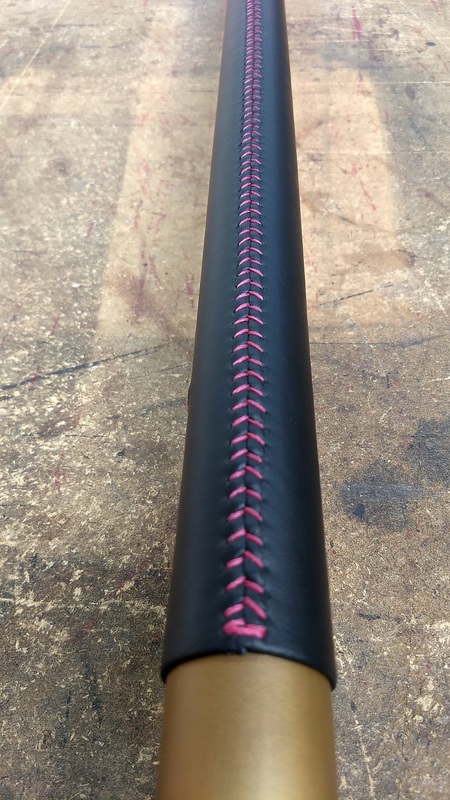 Customisation also available, please Contact Us to talk about your design. 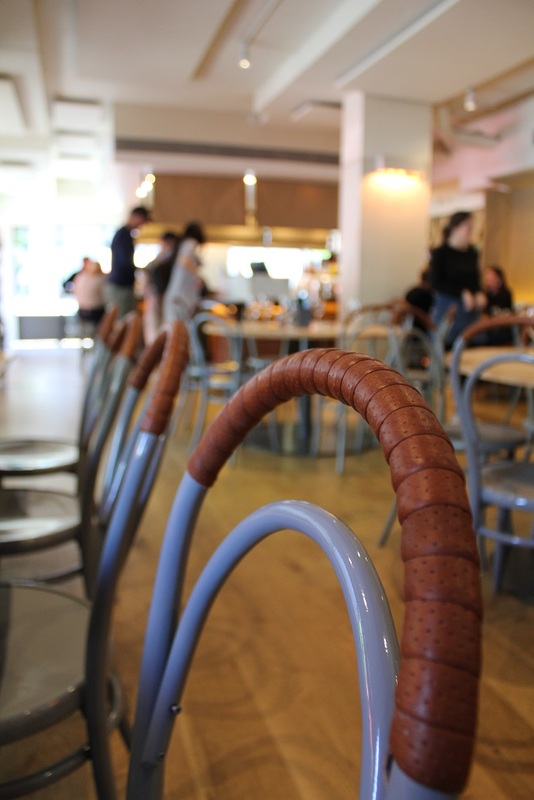 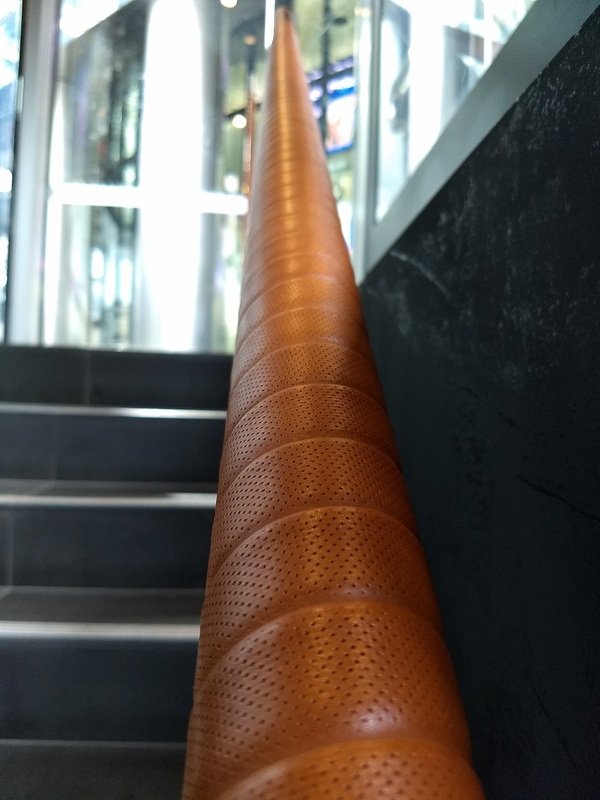 Dawson Street Leather Co can create, supply and install leather handrail for your project. 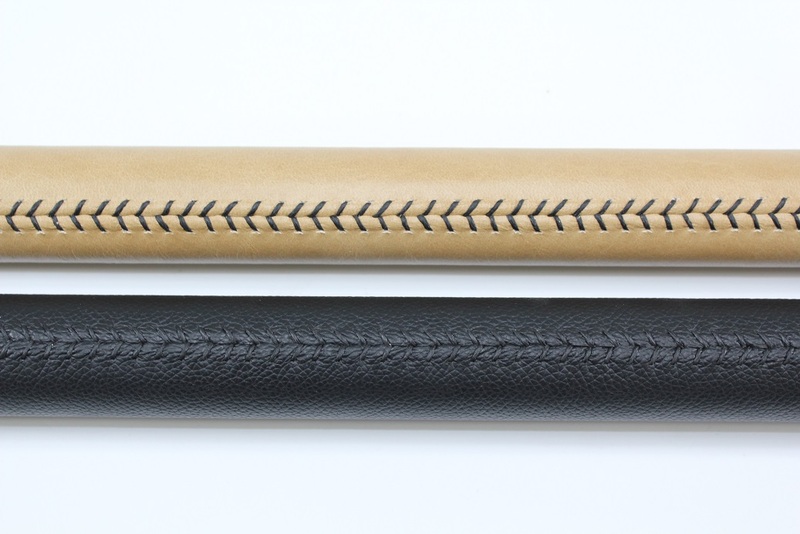 Choose from our standard range of leather wraps or talk to us about your specific project, with our vast capabilities we can apply patterns, stitching and finishes to create your unique design. 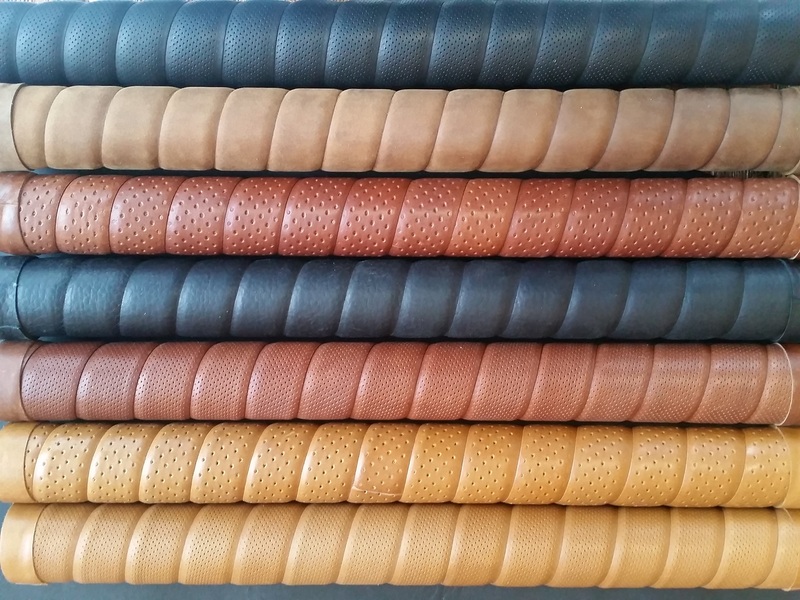 Our vast supply network locally and overseas allows us to source leather that will suit your project. 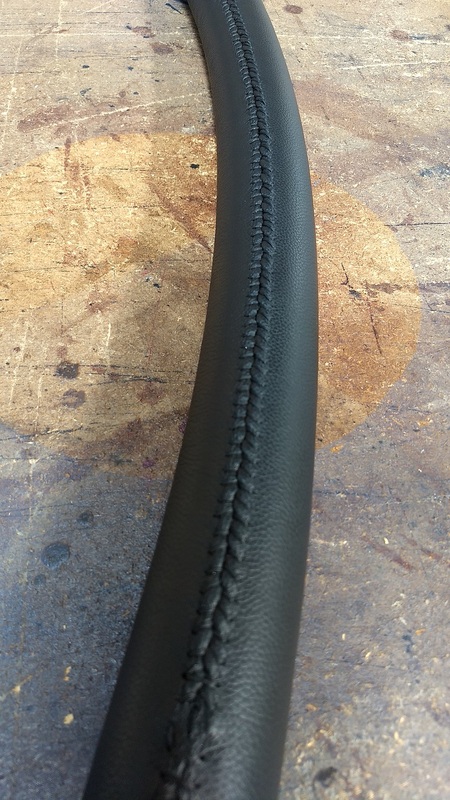 All our leather wraps are created to look and feel beautiful, they are also made for the rigours of real world use. 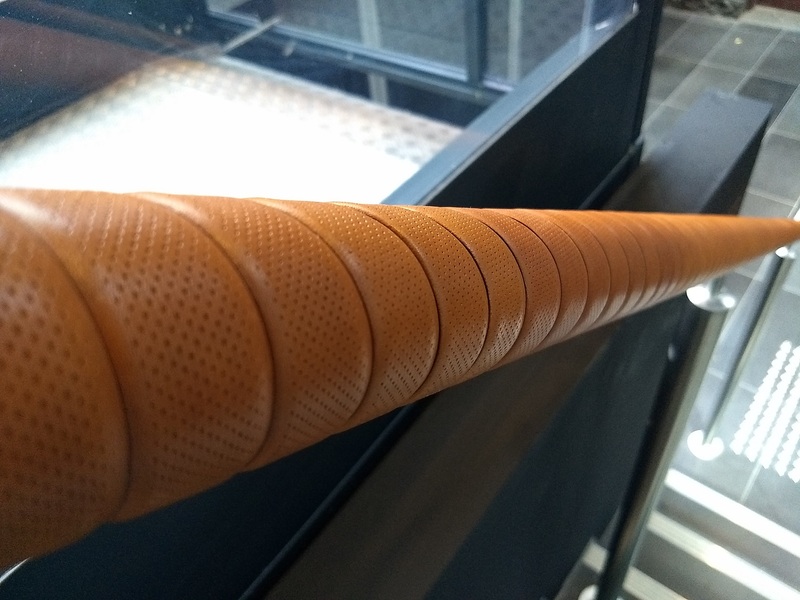 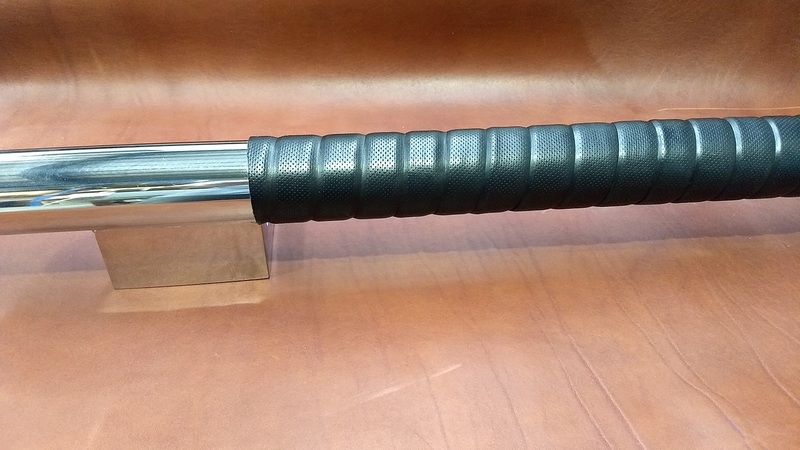 For over a decade we have been supplying leather wrap for sports applications on bicycles, golf clubs, gymnasium equipment and other sporting articles where the human hand has exerted sweatband and mechanical stresses exceeding any architectural application. 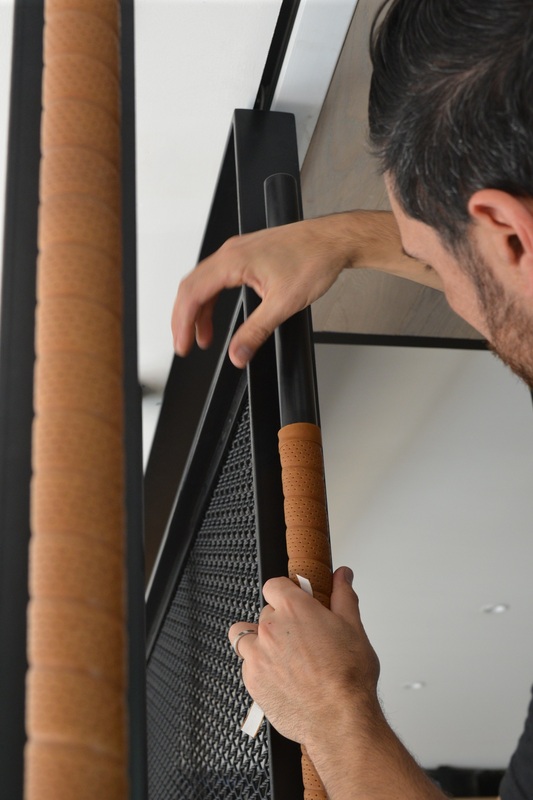 Our wraps also interlock when wrapping to create a seamless finish, that means that you can freely slide your hand along without lifting edges.